It's winter here so the vineyard jobs are pruning, pruning, and more pruning. It's winter here so the vineyard jobs are pruning, pruning, and more pruning. In the winery we are really busy filtering and blending the new vintage wine. 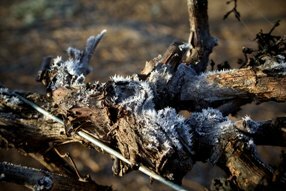 The vines don’t usually get a frost as bad as this month but we have had some real wintery weather here. Typically the frost disappears by morning light but recently it has stayed around a little longer, as you can see from the pictures. The morning temperature reached -4 degrees Celsius. That is cold! The vines will be fine it's just the workers who need a little warming up. 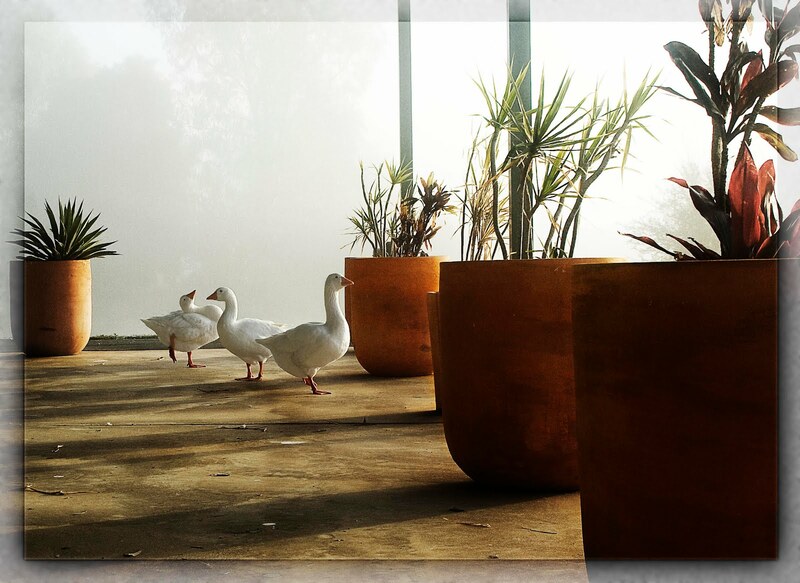 Even the Geese were chilly, looking for shelter and finding it next to our Cellar door.